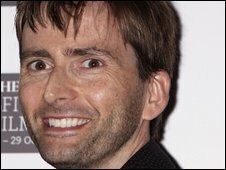 David Tennant is to make his US television debut as the lead role in a pilot for a comedy legal drama. The former Doctor Who will star as a top Chicago lawyer who suffers from panic attacks and coaches his clients to represent themselves in court. The NBC hour-long show is titled Rex Is Not Your Lawyer. Tennant has played the Doctor for the past five years but announced he was leaving last year. He will be replaced by actor Matt Smith next year. David Semel, who directed the pilot for successful TV series Heroes, will direct the pilot. Tennant's last episodes as the Doctor will be screened at the end of this year or early next year. Tennant was the 10th actor to play the Doctor. He has been named most popular actor at the same ceremony for the past two years. He has also starred in Harry Potter and the Goblet of Fire and will also appear in St Trinian's 2: The Legend of Fritton's Gold.